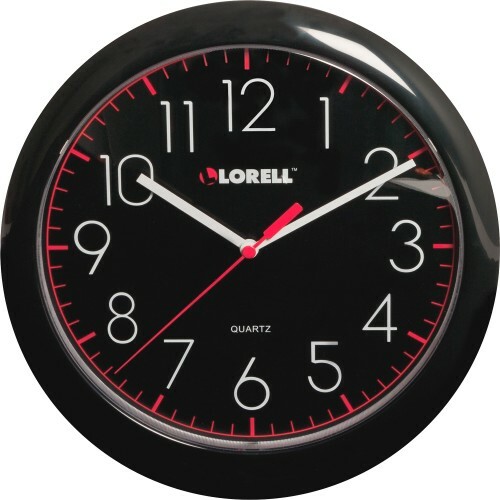 Round wall clock offers Quartz movement for accurate time. Design features a black frame, black dial, white Arabic numerals, red second hand sweep and ABS plastic cover. Clock runs on one AA battery (sold separately).